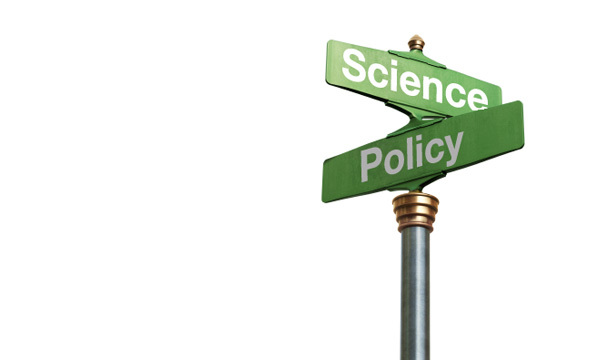 "Science debates can change science ... which can change public opinion ... which can change policy direction. " This is of course an invocation of what has been called the "linear model" of science in decision making. The views expressed by this scientist are widely shared and are in fact a point of agreement among competing factions in the climate debate, particularly as found in blog discussions. If the linear model were an accurate description of the world then it would be the case that when we are debating science we are actually debating issues that influence policy directions. Science would thus serve as a real proxy for political debate. The problem with the linear model is that it does not accurately describe the real world relationship of science and policy in general, and certainly not with respect to climate change. As I have documented, US public opinion on climate change has been relatively stable (with ups and downs) over three different presidencies, four IPCC reports, various weather extremes like Katrina, and a vigorous effort by skeptics to cast doubt on the science and advocates for action to cast the science as settled. At this point the continued efforts to debate the politics via science simply serve to reinforce the extant nature of public opinion. What efforts to wage climate politics through science actually do, rather than influencing political outcomes, is to increase the politicization of science. One result of this is a trend in public opinion across partisan lines indicating increasing numbers who believe that climate science has been exaggerated in political debate. I discuss the linear model and its pathologies in some depth in The Honest Broker and public opinion on and the politicization of climate change in The Climate Fix.